Floaters refer to the appearance of black dots, lines, circles, cobwebs or clouds that move through your field of vision. In reality they are shadows produced by liquefied vitreous humor, the clear gel present inside the eye. As we age, the normally solid vitreous gel begins the degeneration (liquefaction) process leading to separation from the retinal surface, a condition called posterior vitreous detachment (PVD). The peripheral vitreous gel remains firmly attached to the retina at the vitreous base. Following a PVD patients typically experience visual disturbances in the form of flashes of light and/or floaters. Flashes occur as a result of vitreous traction on the retina, the light-sensitive tissue at the back of your eye, and can appear in the form of lines, arcs, lightning flashes or streaks and may seem to head in one direction. They often appear in the side of the eye’s field of vision and are most visible in a dark room, at night or when the eyes are closed. Floaters result from shadows of liquefied vitreous debris cast onto the retina. The retina sends visual signals to the brain, which in turn generates the images of floaters that you see. Floaters come and go with blinking or eye movement, trailing a few seconds behind the movement of the eye, and can appear in one or both eyes. They are often more apparent when you are looking at a blank, white background in bright light. Most flashes and floaters resulting from a PVD are not a serious issue and require no treatment. However, in some cases the pulling away of the vitreous gel from the retina can tear the retina. This can ultimately lead to a retinal detachment. Retinal tear and detachment are serious conditions and if untreated can cause blindness. If you have noticed the appearance of new floaters, flashes of light, and/or a loss of your central or peripheral vision, it may be a sign of a detached retina. Please contact one of our doctors at Retina Macula Specialists of Miami to arrange an appointment for consultation. Flashes and Floaters are not always a sign of a torn or detached retina. In fact, most of the time flashes and floaters are harmless and/or unobtrusive, and typically become less noticeable over time. In such cases, when flashes and floaters are not accompanied by any retinal pathology (e.g. 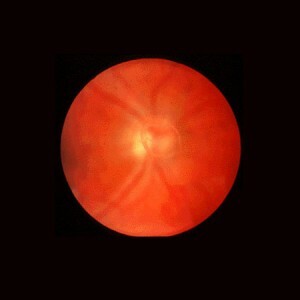 retinal tear or detachment), no treatment is necessary.